The furniture that adorns your home is an expression of your personality, and this magnificent handcrafted stationary bar stool conveys sophistication and class. 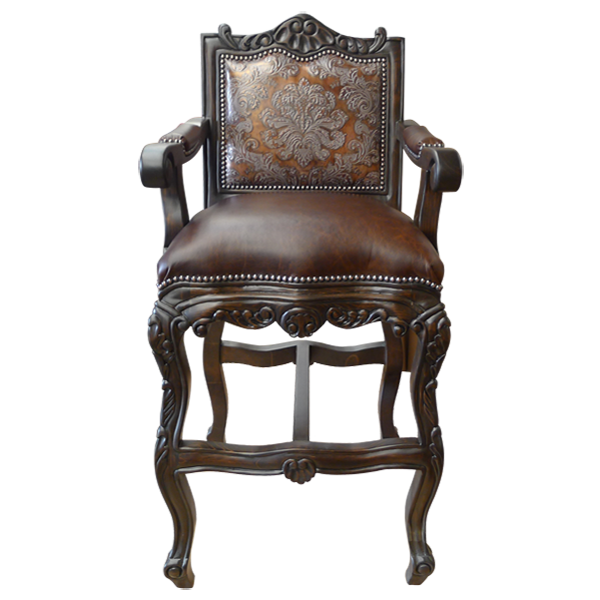 The inside seat back and the reverse seat back of this bar stool are upholstered with the same exquisitely embossed full grain leather, and the seat is upholstered in fine dark brown full grain leather. All upholstery is carefully hand tacked to the entire base by our skilled craftsmen. 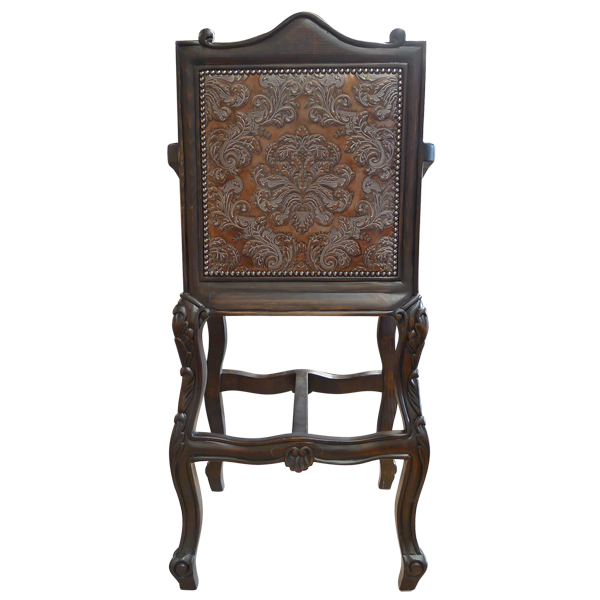 All main accents of the bar stool, including the top crest, the body rim, and main body, have beautiful ornate hand carved floral designs and scrolling . 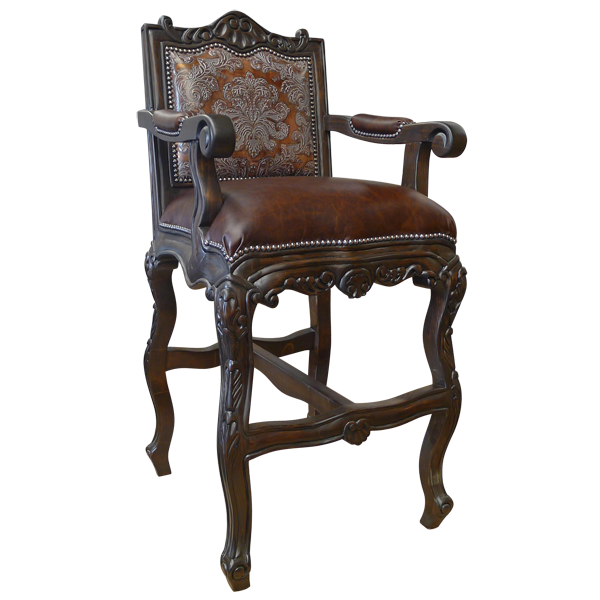 The bar stool also have armrest, which have hand carved flora designs and scrolling, and part of the armrest are upholstered in rich dark brown full grain leather. All hand carving is performed in our factory by our skilled craftsmen. The long cabriole legs of this spectacular bar stool are joined by a midway “H” stretcher with hand carved shells and tapered feet. The bar stool is durable and comfortable and made with the best wood available and is 100% customizable.